A wheel is composed of three main parts: the spokes, the rim and the tire. The tire is the outermost surface of the wheel that comes into contact with the road. It connects to the rim of the tire, which is simply the outside edge of the wheel. A tire covers the rim of the wheel to both protect the rim and help your vehicle absorb shock and increase performance. Without all three parts, the safety and performance of your tires would be greatly reduced. 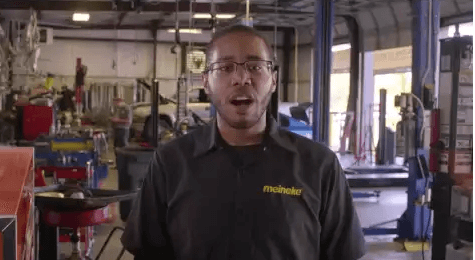 To learn about tire repair service, contact Meineke #1649 in Madison, WI. You know that you need your tires in good working order to drive your vehicle. So, perhaps a better question than why your tires are important is why you should maintain them before you're forced into frantically searching for "flat tire repair near me." The average car weighs over 4,000 pounds, which is a lot of weight sitting on your tires. Differences in inflation between tires causes your vehicle's weight to be distributed unevenly. Over time, that uneven weight distribution can lead to issues with your vehicle's balance, which then affects its safety and performance. Thus, following a routine rotation service is vital. You'll find such a service here at Meineke #1649 in Madison, WI. Wheels may need to be aligned after accidents or after too much wear and tear on a vehicle. Cars with tire alignment issues often show uneven tire wear. Drivers may also notice vibration through the steering wheel as wheels pull against one another instead of working in sync. If your car pulls to one side, it may indicate that your wheels need to be aligned. 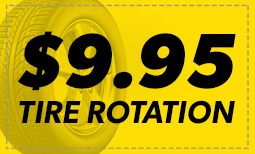 Bring your car or truck to Meineke #1649 in Madison, WI, and we will gladly perform an alignment and tire rotation at the same time. Contact us for more information regarding tire rotation. Driving with worn-down or damaged tires can be hazardous to you and your passengers. When tires lose a significant amount of tread, they do not handle as well during certain weather conditions. Rain, sleet, and snow can easily pose a threat to drivers with poorly maintained tires. These drivers may experience longer stopping distances and times, and they will be at a higher risk of hydroplaning during rainstorms. Even minor "slicks" can be risky if they occur during heavy traffic. To get the best tire repair service, take your car to a Madison WI Meineke #1649 professional for an inspection. Many of our customers ask themselves, "When should I visit a tire repair shop near me?" The answer depends on the age and current condition of your tires, your personal driving habits, and the condition of your local roadways. Individuals who drive on poorly paved and broken roadways will have to replace their tires earlier than most drivers. If you drive long distances at relatively high speeds, you may need to have your tires inspected once or twice yearly. If your tires are over ten-years-old, it is definitely time to consider a replacement. Get in touch with our Madison, WI, Meineke #1649 store if you have specific questions. If you're in need of new tires, you probably have concerns about the actual cost of tire replacement. While worn tires increase your risk of performance and stability issues on the road, that doesn't make affording new tires any easier. Fortunately, we at Meineke in Madison, WI can. 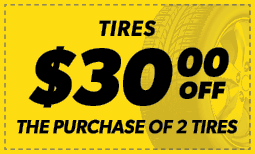 Once you have your new tires, be sure to make frequent visit to our Meineke #1649 web page. We frequently post repair and tire rotation coupons there. This is our way of rewarding the trust you place in us.